Carbon Conservation is the secretariat for the Fire Free Alliance, which is a voluntary multi-stakeholder group made up of forestry and agriculture companies, with NGOs and other concerned partners keen to resolve Indonesia's persistent fires and haze problems arising from land burning. We collaborate to share information, knowledge and resources to achieve the most economically efficient lasting solutions that would lead to a fire and haze-free Indonesia. Our programs include no burn rewards, crew leaders, agricultural assistance, awareness programs and monitoring of fires and smoke. Our members include APRIL, Asian Agri, Musim Mas, Wilmar, Sime Darby, IDH, PM.Haze and IOI Group. Aceh's expansive 3.5 million ha of tropical forests are a critical last refuge for endangered tigers, elephants, rhinos and orangutans. These forests provide ecosystem services essential to Aceh's recovery, including clean water production, flood prevention, erosion mitigation, and climate regulation. In eleven years, Sumatra lost over 6.5 million hectares of forest, a 30% reduction. 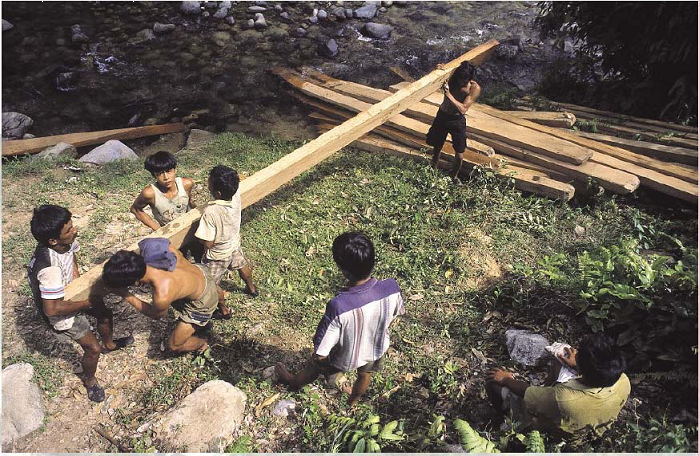 Post tsunami (December 2004), demand for timber in Aceh has rocketed, fuelling an illegal logging boom. Why Carbon Conservation & Fauna & Flora International? Carbon Conservation's (CC) mission is to save large areas of threatened tropical forests using carbon finance with speed and integrity. CC is an established global leader in Avoided Deforestation (AD) voluntary carbon credit creation and financing. CC implemented - from conception all the way through to sales - the first major AD project accepted into Australia's national greenhouse gas program, the Rio Tinto Aluminum pilot which created 1.25M carbon credits from protecting 13,000 hectares in Queensland Australia.. Carbon Conservation is partnering with Fauna & Flora International (FFI), the world's oldest conservation organization and the Province of Aceh, to present high-integrity, robust carbon credits in the Ulu Masen forest ecosystem. FFI has implemented law enforcement, protected area managment, and buffer zone development conservation projects in Indonesia since 1996 . FFI leads the Aceh Forest and Environment Project (AFEP), the largest World Bank-funded project in the Indonesian forestry sector (Au$16.9M), and the largest conservation NGO project in Asia. Aceh Province, under the leadership of Governor Irwandi, is committed to a future Aceh that is green, sustainable, and productive. Together we have assisted Aceh Provincial to commit to reducing deforestation through carbon financing. We are working with Wildlife Warriors & Humane Society International to engage the public and campaign for support and funding. In February 2008, we were the worlds first Community Climate Biodiversity Alliance approved avoided deforestation project independently validated by Smartwood. This creates an opportunity to join a ground breaking carbon finance transaction that will create emission reductions across the semiautonomous province of Aceh and will alleviate poverty and protect biodiversity. Innovative Buffer Zone Management will create real development and real protection strategies of forests. 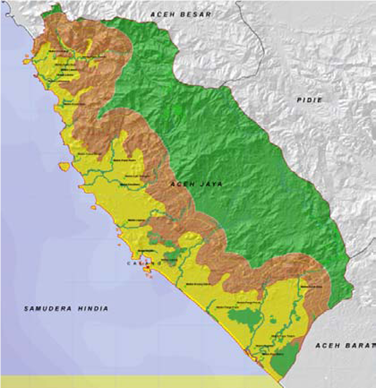 The map above shows Aceh Jaya, one of the Aceh districts where new land use management and participatory planning has begun. The Governor has come up with the innovative strategy of buffer zone management to ensure the long term protection and preservation of the forests (central green ring) and hence the carbon credits created by the avoided deforestation. The brown ring is the degraded land that will be reforested and rehabilitated, that will also form a protective buffer to the central high conservation value forest. The yellow ring is the degraded, previously cultivated land suitable for plantations of palm oil, coffee, cocoa, rubber and other revenue generating initiatives. The green ring is areas zoned for protection, reliant on carbon payments to be a success. Every year, there is a burning season in Indonesia. While Indonesian palm oil farmer Achmadi confronts the impact of his deliberately lit fires on climate change, Danish-born Lone Droscher-Nielsen rescues and cares for orangutans devastated by the fires. As the crisis escalates, a young environmental entrepreneur, Dorjee Sun pursues a solution. His plan involves selling the carbon credits represented by large forest areas to big polluters in the West. At the UN Climate Change Conference in Bali, Dorjee relentlessly pursues his deal. Is he a pioneer or a profiteer? Does his concept offer new hope to the remaining forests of the world and the world�s climate? PAPUA, Indonesia -- Barnabas Suebu, the governor of this remote and wild province, recalls flying over parts of Indonesia a decade ago and being appalled by what he saw below. A major island in the archipelago, once home to massive virgin rain forests, had been stripped bare for development and plantations. "I felt so sad," Mr. Suebu said. "This kind of damage must be avoided in Papua." 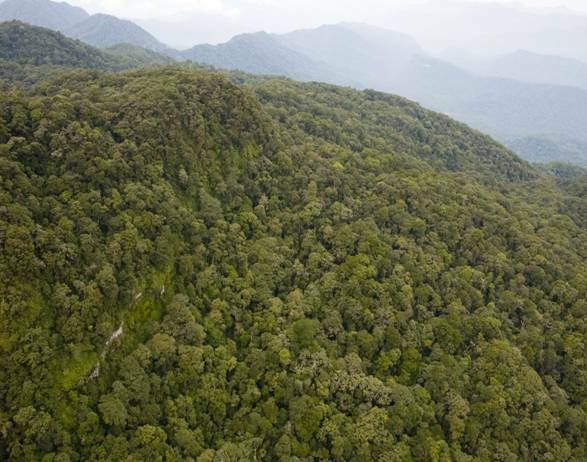 What's New: Papua is hoping global investors will pay the province not to cut and burn down its pristine rain forests. Burning Issue: Western nations are increasingly worried that fires set to clear forests for agricultural purposes are a major cause of global warming. The Outlook: Without funding, Papua may need to hand over huge tracts of land to Chinese and Malaysian plantation companies. Until recently, similar destruction in Papua seemed inevitable. The Indonesian government has long wanted to hack through its rain forest to make way for agricultural development. In the past year, Chinese and Indonesian companies have unveiled plans to spend billions of dollars on huge palm-oil plantations, hoping to feed demand for biodiesel. Papua appeared on the verge of its first-ever investment rush. In an interview in Papua's capital, Jayapura, Mr. Suebu, 61 years old, acknowledged that his impoverished province needs the economic boost development might bring. But rather than allow Papua to follow the same course as many other Indonesian islands, Mr. Suebu is trying to chart a new direction. In effect, he wants Papua to be paid not to cut down its rain forest. Wall Street Journal Online Report Video: Indonesian Proposal: Pay Us Not to Chop Down Our Trees.